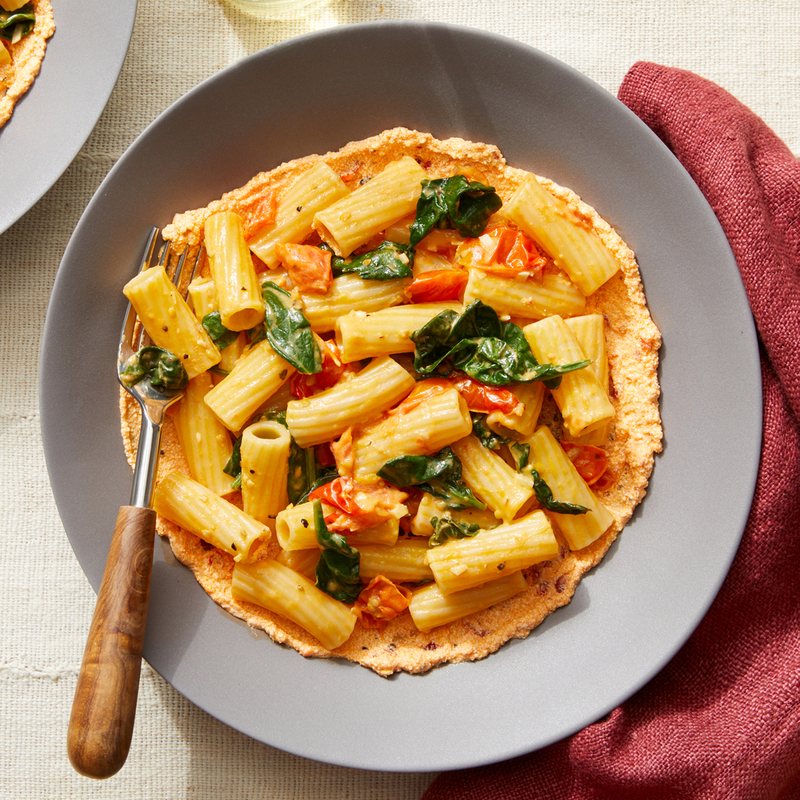 Successfully saved Pasta with Fresh Tomatoes & Spinach over Spicy Ricotta to your Calendar. You can also save the ingredients to your Grocery List. In this comforting, quick-cooking dish, bites of elicoidali pasta are accompanied by warm spinach and fresh tomatoes—all served over a layer of creamy ricotta cheese mixed with Calabrian chile paste for bright, contrasting heat.